Information at a glance can be valuable in spotting trends. 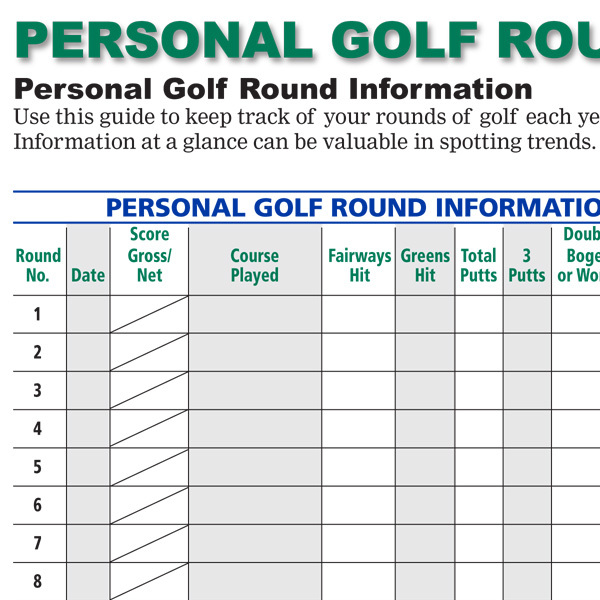 Use this guide to keep track of your rounds of golf each year or season. A goal that I personally like is to try and avoid “3 putts” and “double bogeys or worse”.